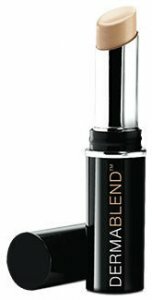 New & improved Dermablend Corrector Stick - Same formula and exceptional results but now with a new elegant design and applicator tip for easier use and targeted application. Dab the stick onto the zone to correct directly, using light touches and without pressing the stick too hard. Pat and spread the edges with your fingertips to blend the formula into your skin. 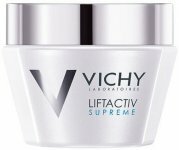 Depending of the imperfection you wish to conceal, apply several layers of the localised corrector. Paraffinum liquidum, mineral oil, talc, cera alba/beeswax, kaolin, isopropyl palmitate, stearate, CI77713, magnesium carbonate, copernica cerifera cera/carnauba wax, cera microcristallina/microcyrstalline wax, allantoin, lauroyl lysine/peut contenir, CI77891, titanium dioxide, CI77491, CI77492, CI77499/iron oxides, CI77120/barium sulfate.